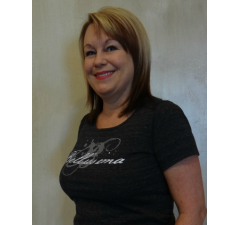 Michelle Pizzolato is our Esthetician at Bellissima salon spa. She is a 1984 graduate of Edward Douglas White High School . Always having an interest in skin care Michelle , after raising her children, decided to become an Esthetician. She attended Omega Institute of Cosmetology In 2010. After passing state board Michelle was employed by Bellissima salon spa and has worked here since that time. She has a passion for the job that makes helping clients a joy !! In her down time she enjoys spending time with her family and reading .